We wanted to see what students would do if they were given the chance to curate a local museum and share their experiences with peers back at school. 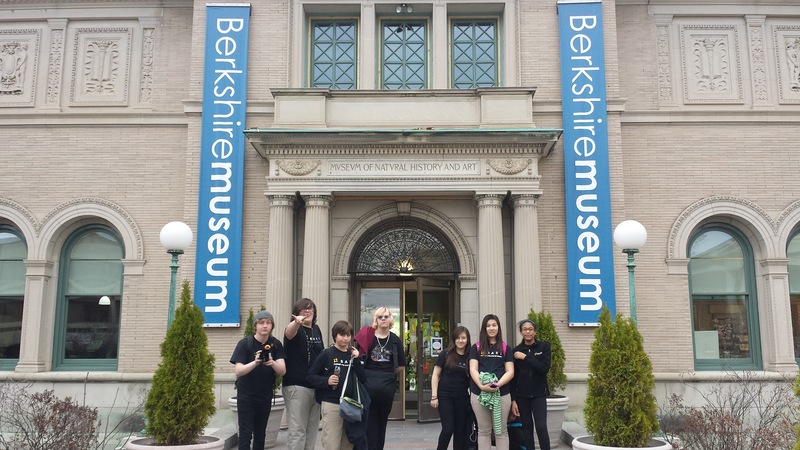 Karin Stack, local charter school art and digital teacher at Berkshire Arts and Technology School (BART), agreed to bring several teams of middle school students to the Berkshire Museum in Pittsfield, MA. 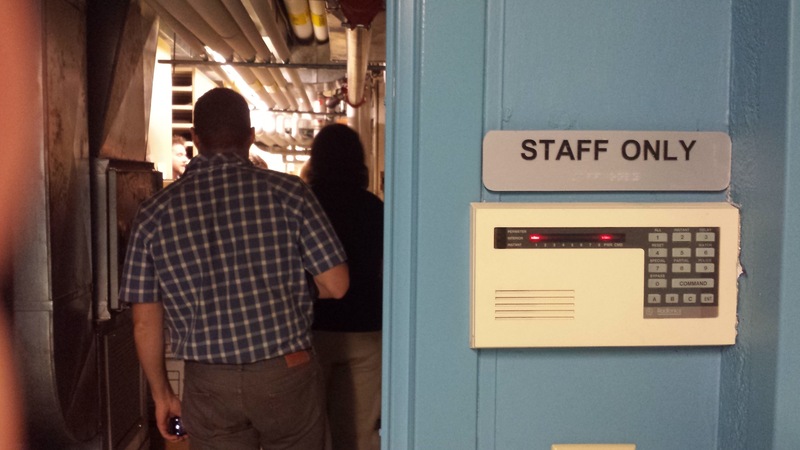 Museum staff—Craig and Maria—were amazing, and led a “sprint introduction” to a number of content areas students could use as jumping off points for their own tours—aquariums, Alexander Calder toys, Egyptian mummies, weapons, Hudson School artists, and much, much more. Students chose areas they liked, and that they thought their peers would like, and then spent an hour doing a deeper dive into their content area, researching, discussing, joking around, outlining, and prepping. Less than an hour later the first team started their live video stream, sharing their findings with their friends and peers, interacting with them, and fielding questions. Creating the tours was fascinating. While there were of course some bumps along the way, as a first pilot, the session worked quite well. 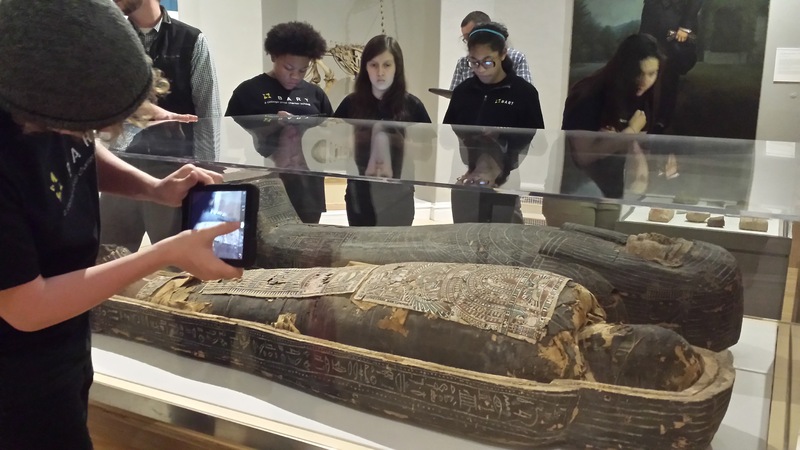 Students harnessed diverse resources to produce something they could share with a meaningful audience. They interviewed museum professionals, researched on the web, and photo-documented museum archives. 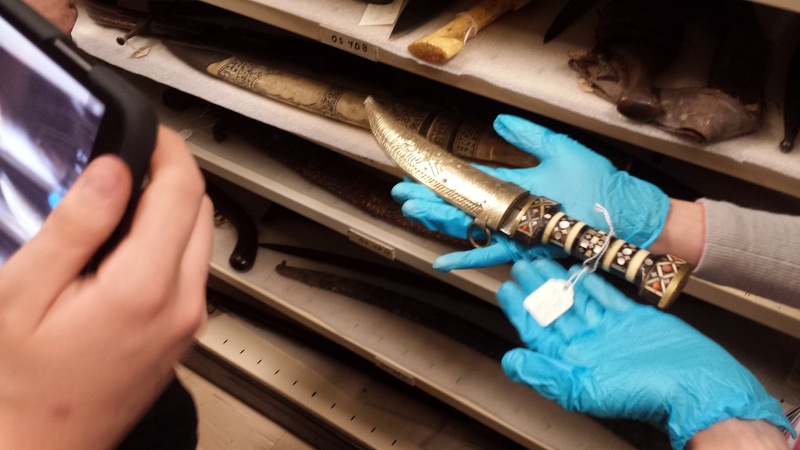 And they went behind the scenes into the archives. We’ll have more extensive data and feedback to report in the near future! We used OpenPath.me to do our livestream.